A Hospital with a unique heritage. A Charity that puts the patient first. Dedicated to excellence and truly personalised care. King Edward VII's is a forward thinking independent private hospital. King Edward VII’s Hospital is an independent charitable hospital with a proud history of Royal Patronage, discreetly located within London’s Harley Street medical district. 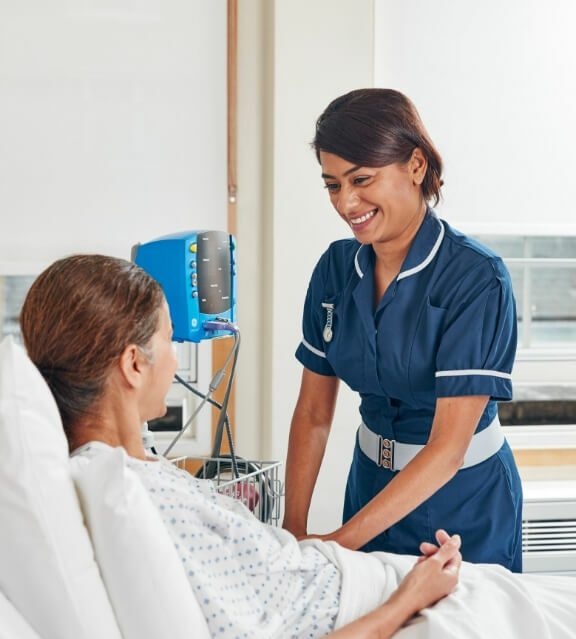 With just 56 beds, we offer truly personalised medical care that combines the world-leading expertise our patients demand with the impeccable standards of nursing care they deserve. 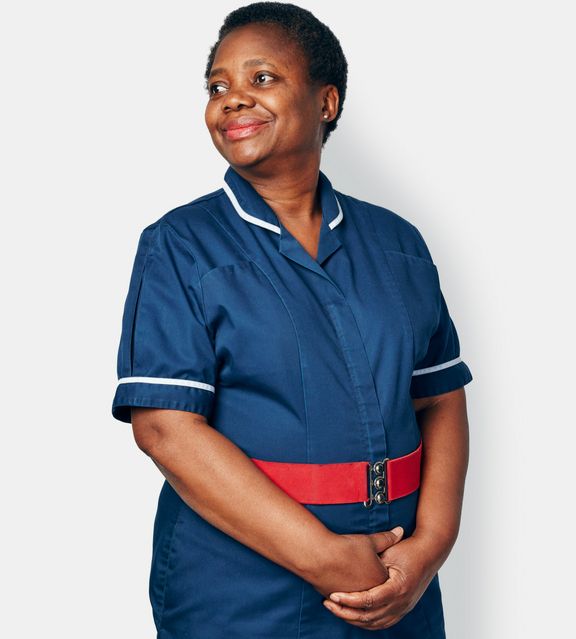 Our compassionate culture creates a peaceful, private and supportive environment, returning patients to everyday life with as little disruption as possible. Our hospital is a charity. We thrive on a spirit of philanthropy, with generous donations keeping us at the forefront of medical care and allowing us to provide the very best service to our patients. Our charitable conscience keeps us dedicated to providing the highest levels of subsidised care to Veterans of The Armed Forces. This has been our way since 1899. Our commitment to outstanding patient care dates back to 1899, when sisters Agnes and Fanny Keyser devoted themselves and their home to caring for sick and wounded officers returning from the Second Boer War. 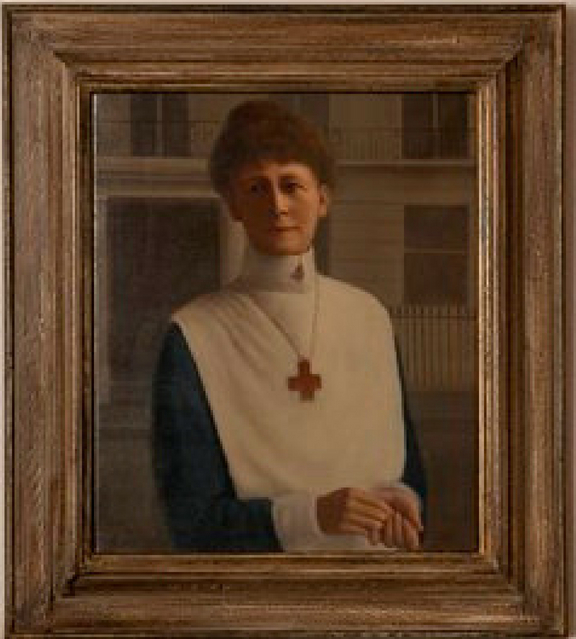 Under Sister Agnes’ steadfast leadership, their Keyser home – 17 Grosvenor Crescent, Belgravia, continued as a hospital for officers after the war, setting the blueprint for our institution’s high level of personalised care. Thanks to the hard work of the sisters, King Edward VII became its first Patron and it received generous support from members of the public. Today, it still remains the hospital of choice for anyone seeking the best private medical treatment in London. A spirit of charity and giving – underpinned by our network of 2,500 Friends and our charitable subsidies and grants. Our Royal patronage – from King Edward VII in 1901 to Her Majesty The Queen today. For over 100 years, these foundations have enabled us to meet medical needs and advances with consistent clinical excellence. To be the leading private hospital in the UK and to support an increased number of veterans through our charitable work. 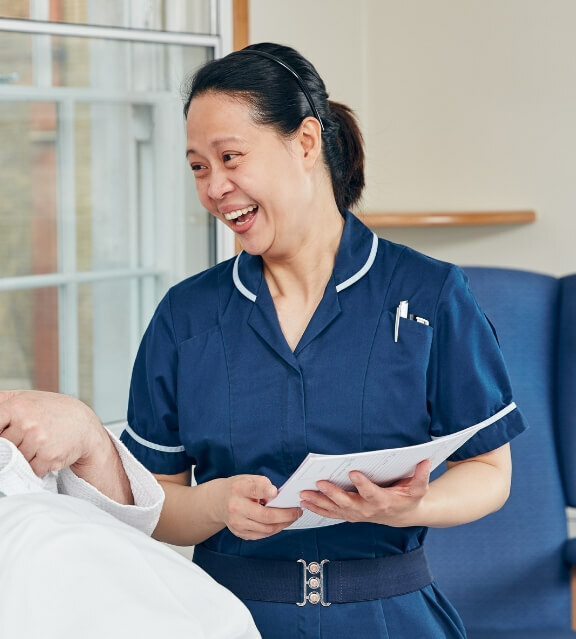 To consistently deliver the highest standards of personalised patient-centred care, in a safe and kind environment, through our exceptional and empowered teams. We will do this whilst continuing to deliver our charitable works within the veteran community. Provide personalised patient centred care with respect, dignity and empathy in a kind and compassionate environment. To listen and enable people to give their own views and opinions about their care, valuing the importance of their perspective. Work in partnership with patient’s families and carers to provide kindness and care that exceeds expectations. Respect all religious and cultural beliefs through recognising diversity and individual choice. Ensure the highest standards of good governance throughout the hospital. To promote a culture of openness and transparency. Maintain the highest quality care at all times. We maintain these standards through continuing audit of patients care and through continuous learning and training. Provide services that meet the needs of people that require additional support. To empower our teams and encourage safe collaborative working. We are proud to have maintained a tradition of royal patronage, which began with King Edward VII. 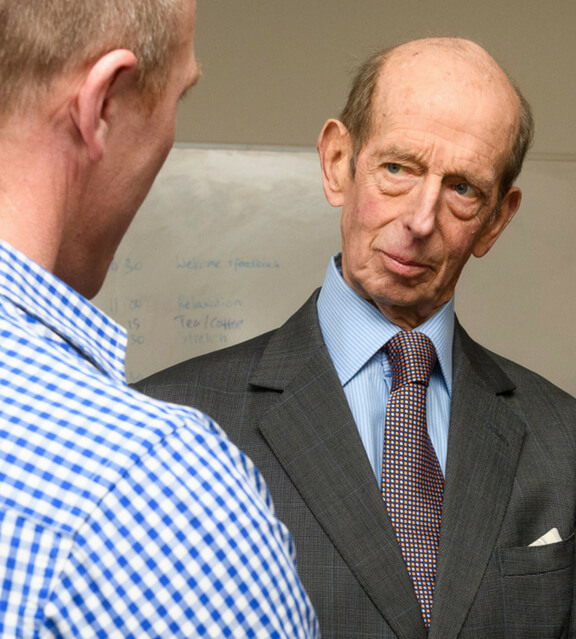 Today the Hospital’s Patron is Her Majesty the Queen, and our President is HRH The Duke of Kent, who attends our Annual Friends’ Reception and visited our Centre For Veterans’ Health in February 2018 (right). King Edward VII’s has signed the Armed Forces Covenant. 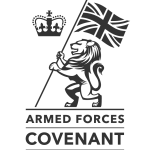 The Covenant cements the hospital’s commitment to supporting the Armed Forces community and recognises the value that Serving Personnel, both Regular and Reservist, Veterans and military families contribute to our business and our country. This year, alongside all organisations with 250 or more employees we are publishing our gender pay gap. The gender pay gap is the difference in average pay between men and women working at King Edward VII’s Hospital. Our report for 2018 is included on this page. The skill mix required to run a successful, forward thinking and safe hospital is represented in our EXCO. With many years’ experience in medicine, nursing, finance, governance and fundraising, the team are totally committed to the new strategic plans. Read the latest news and articles relating to the hospital’s work. From press releases to informative health blogs, interviews with staff to visits by the Royal Family, you’ll read about it here first. Good governance is the foundation of high quality, safe and effective healthcare. It ensures there is a clear framework of communication and accountability, effective systems and processes, measures and evidence to drive improvement, and a culture of honesty, integrity and openness.